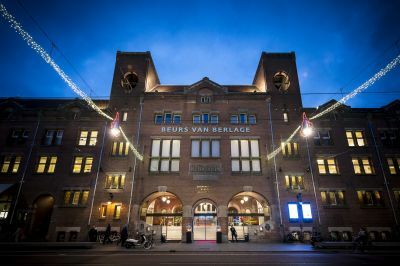 When you arrive at Amsterdam Schiphol Airport, you can reach the Beurs van Berlage by train or taxi. You can buy a ticket to Amsterdam Centraal Station in the arrivals halls of the airport. Interval: four trains per hour. Train ride takes about 15 minutes. Approximately 25 minutes, depending on the traffic.